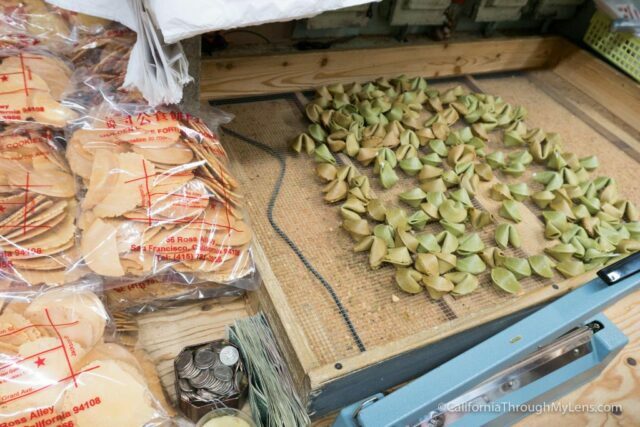 Ever wondered how fortune cookies are made? 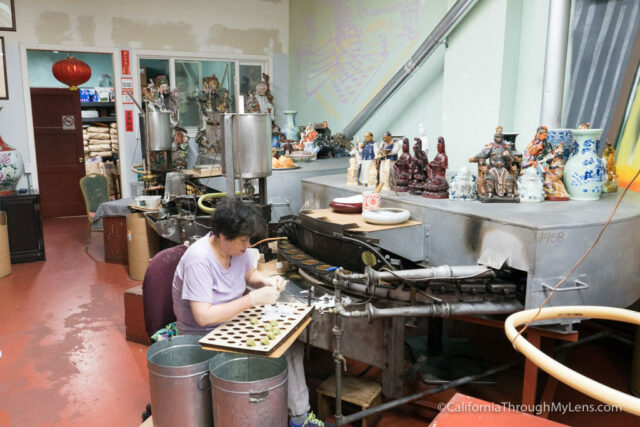 Wonder no more with a visit to one of the most unique places in San Francisco’s Chinatown, the Golden Gate Fortune Cookie Factory. 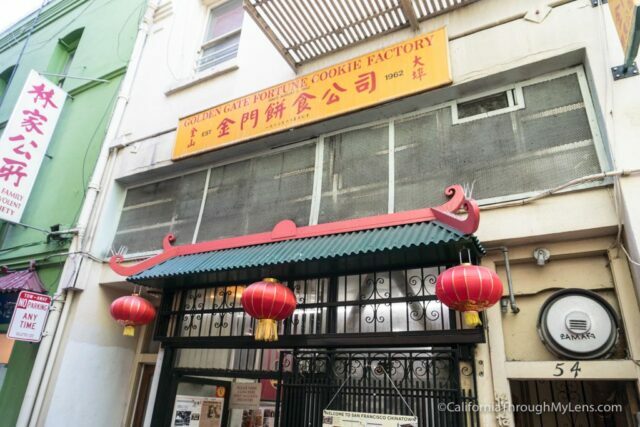 This small one room building is constantly pumping out these famous treats, and you can watch them do it, write in your own fortune or even buy a jumbo cookie in the shop. Read on for all the information. If you are exploring the city, the best way to get here is to take an Uber / Lyft as it will drop you off right near the alley that it is in. You can get here via public transit as well, but I prefer getting directly to the location as it is a little hard to find if you don’t have a GPS. 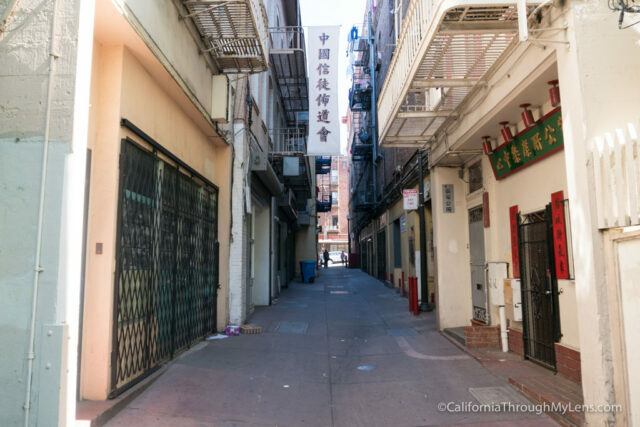 Once you walk into the historic Ross Alley, you will see the storefront on the left. This spot is tiny with only a dozen or so people that can be in at one time. It is usually pretty busy so be prepared to wait a little bit. 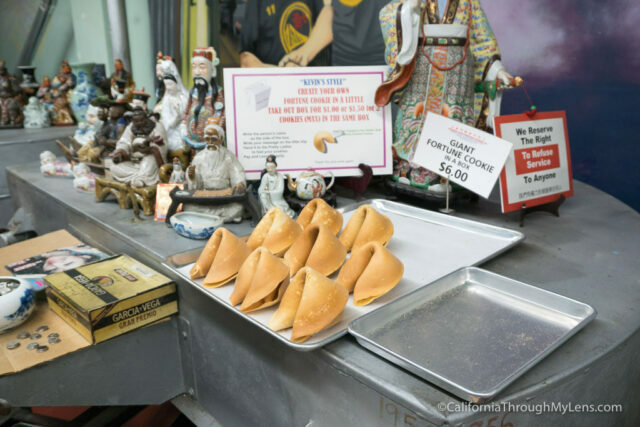 Once you make it inside, you can see the walls lined with fortune cookies as you make your way to the back where they are making them. 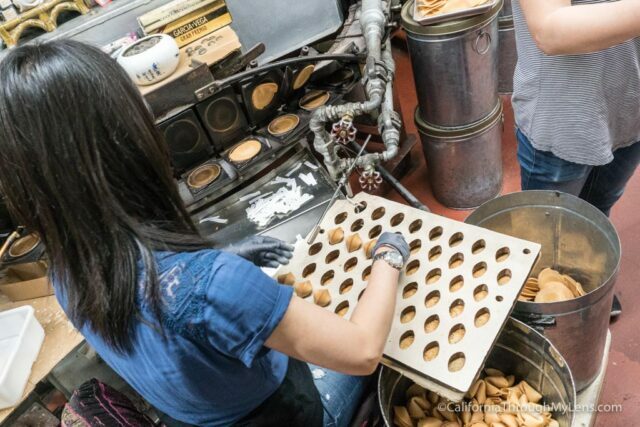 It costs 50 cents to take photos and videos of them making the cookies right in front of you. There were two people pulling the dough off the little waffle iron type contraptions and then adding the fortune and folding it all together. After watching for a little while, we went to the area where you can write your own fortune and wrote one to be added in. 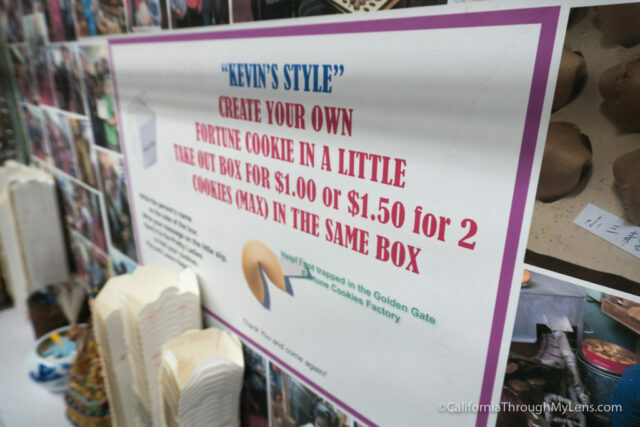 She made the cookie in front of us with our fortune and then put it in a small to go box, all for $1. I also grabbed a jumbo fortune cookie that was as big as both of my hands put together for $5. 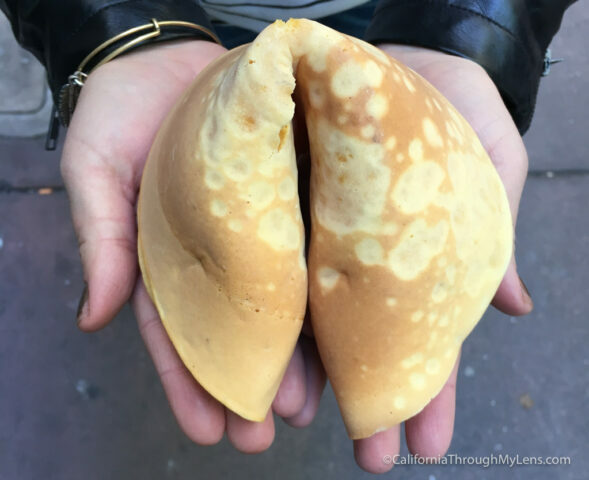 I wouldn’t say that the fortune cookies are anything that special in flavor but the experience is fantastic and they even give you a few warm unfolded ones to try in your bag. 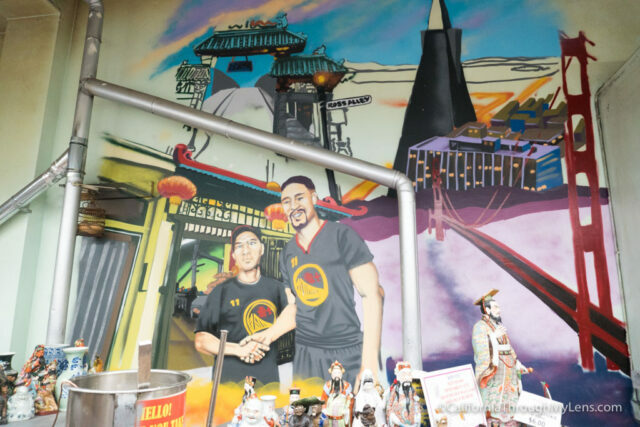 It is a great experience in Chinatown, and I highly recommend you stop by if you have the time. Let me know what you think in the comments.